Uday Kotak, the billionaire head of India's Kotak Mahindra Bank Ltd, sold a less than 1 percent stake in the lender in stock market transactions on Monday, complying with a Reserve Bank of India (RBI) order to cut his holding. The RBI asked Kotak to lower his holding in the bank to 30 percent by end-June, 20 percent by end-December next year, and to 15 percent by March 31, 2020. 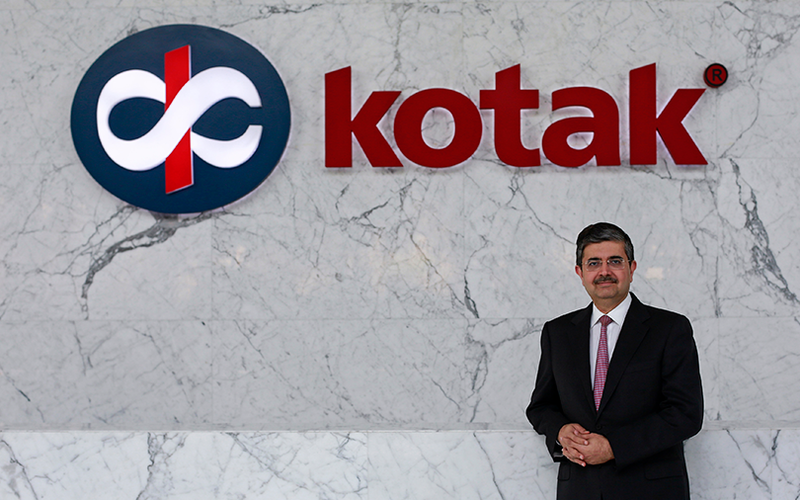 On Monday, Kotak sold 18 million shares in the lender for 16.87 billion rupees ($261 million), lowering his ownership of the bank to 29.79 percent, according to a regulatory filing. In March, Kotak sold an about 1.5 percent stake in the bank to Canada's two largest pension funds - Canada Pension Plan Investment Board and Caisse de depot et placement du Quebec. Earlier this month, the bank raised about $900 million by selling new shares to funds, diluting Kotak's holding further. Ahead of the deal on Monday, Kotak owned 30.74 percent of the lender. Shares in Kotak Mahindra Bank, which has the third-highest market capitalisation among India's banks, closed 0.4 percent higher at 941.25 rupees on Monday.